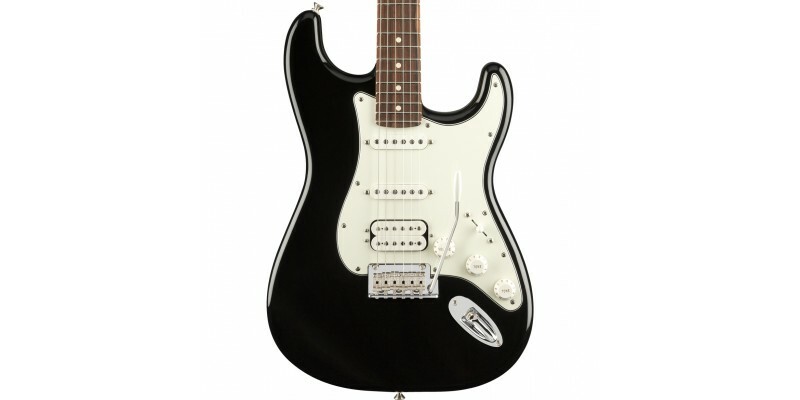 The Fender Player Stratocaster HSS in Black with Pau Ferro fretboard is part of Fender's Player Series of Electric Guitars. 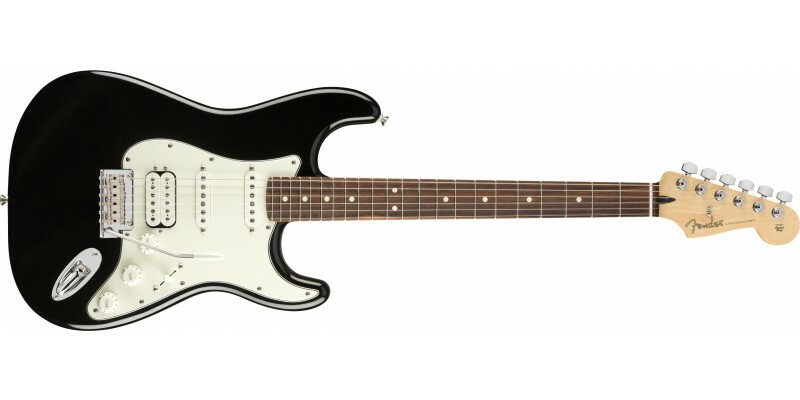 This series has been designed to replace the Standard Series of instruments, and features multiple upgrades to make the Player series even more authentically Fender, and even better to play as a guitar. 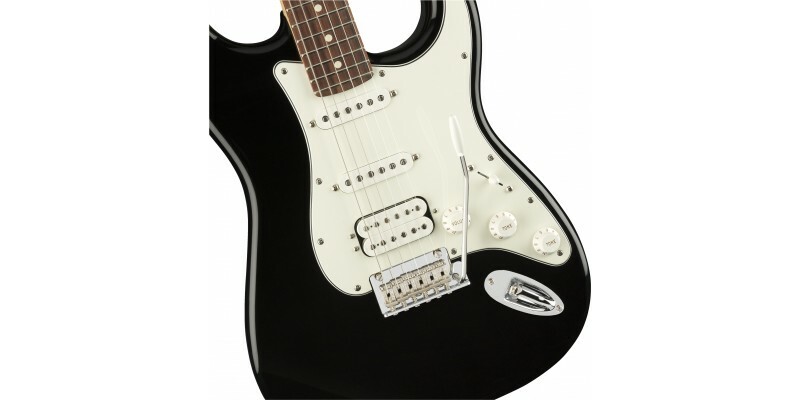 Respecting Fender's heritage while maintaining their innovative spirit, the Player Series humbucking bridge pickup sounds huge and warm, while the single-coil Stratocaster middle and neck pickups are crisp and articulate—it’s authentic Fender tone with a modern edge. 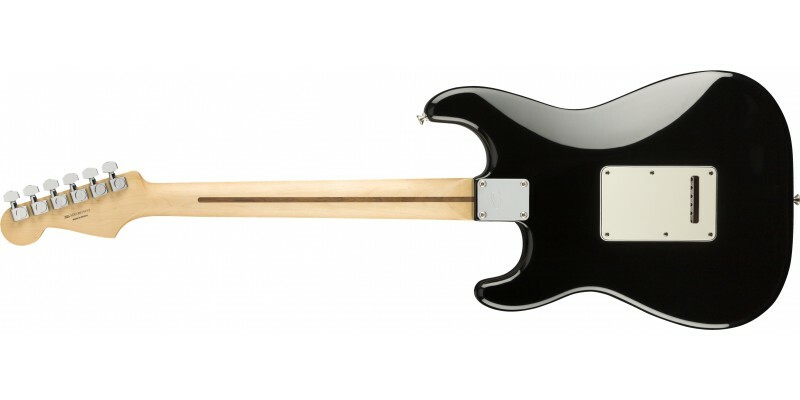 The “Modern C”-shaped maple neck’s comfortable contours and smooth finish are ideal for almost any playing style. 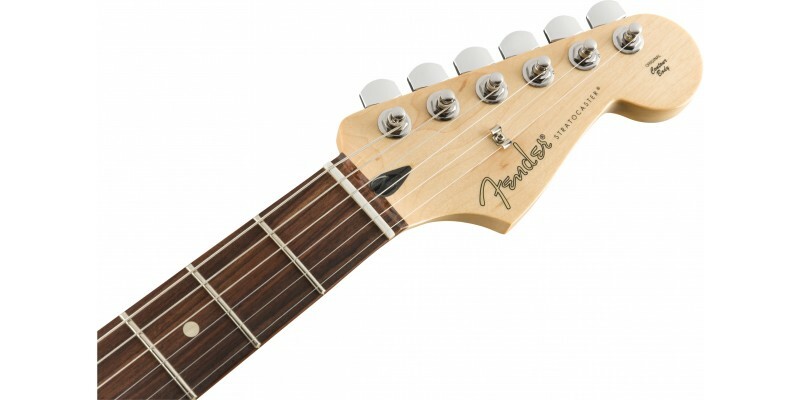 By adding a 22nd medium jumbo fret to the contemporary 9.5”-radius fingerboard Fender have made it easier to express yourself musically. 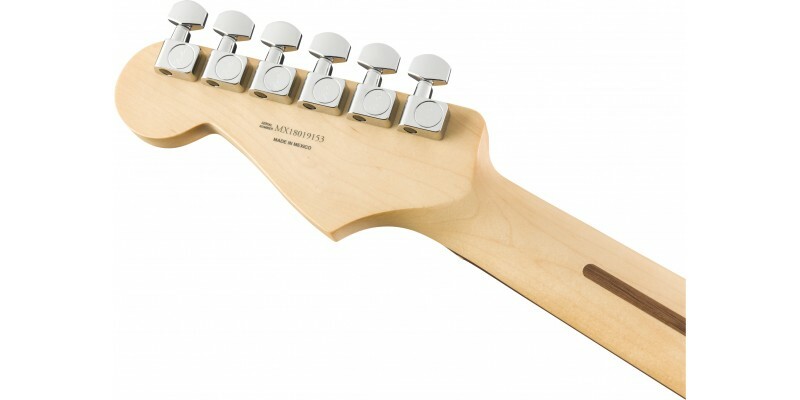 The updated 2-point tremolo design has smoother travel for enhanced playing feel while simultaneously giving you rock-solid tuning stability since there’s less friction against the posts. 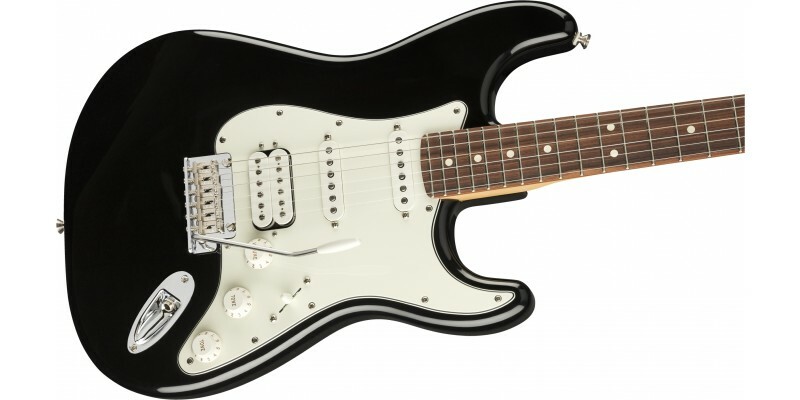 Other features include master volume and tone controls, a 5-way pickup switch, 3-ply pickguard, synthetic bone nut, dual-wing string tree, sealed tuning machines and four-bolt “F”-stamped neck plate that marks this instrument as the real deal—as Fender as it gets.